1.) 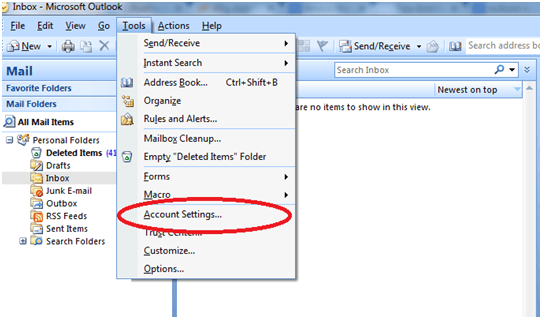 If you are using Outlook 2010 or 2013, click onto File -> Info then select your email account in the Account Settings drop down menu. This area is shown in red below. 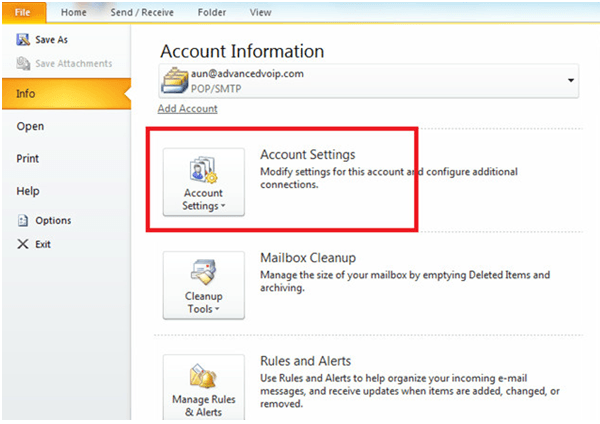 If you are using Outlook 2007, please click on Tools and then Account Settings. 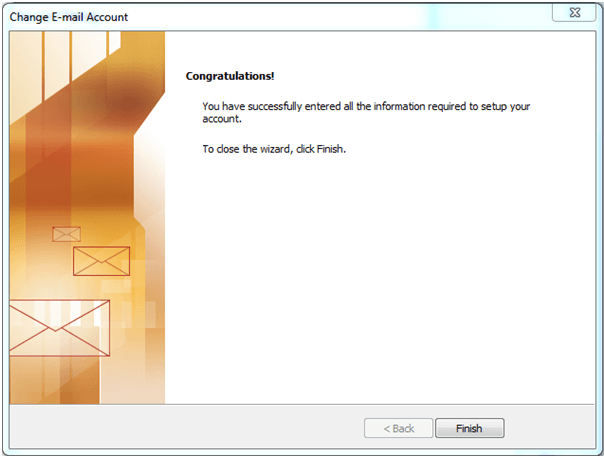 You will then see the below window, please select the email account which you would like to update. 2.) 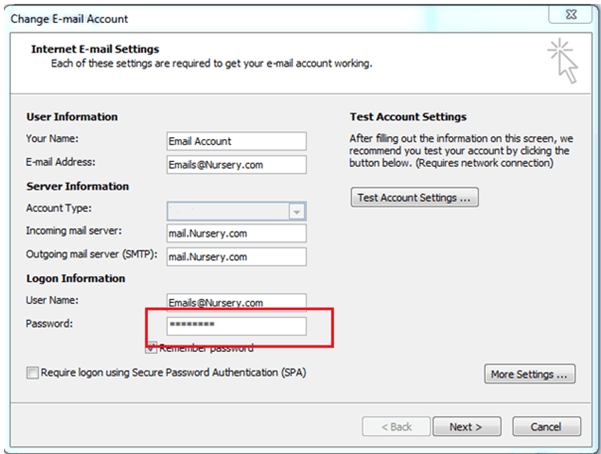 The Incoming mail server and Outgoing mail server (SMTP) settings has now been updated. Your new settings will be mail.yourdomain. 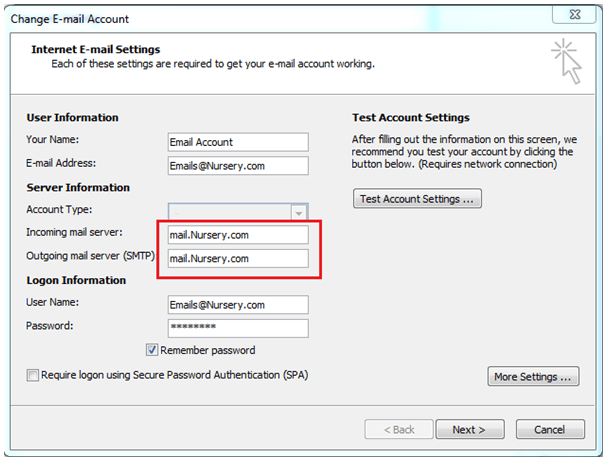 For example if your domain is nursery.com it will be mail.nursery.com. You will need to update these new settings in the red section below. 3.) 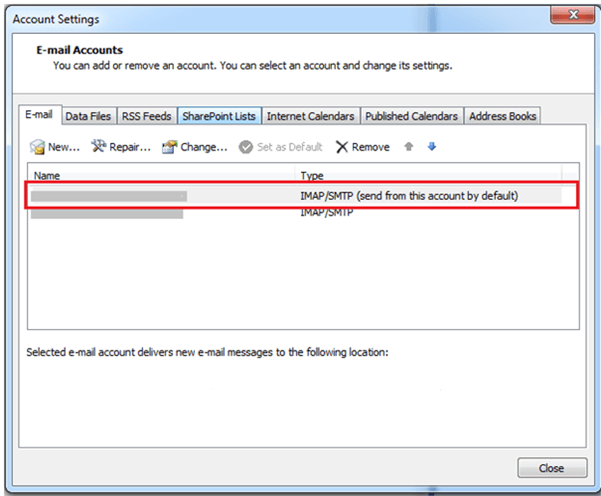 If you have changed your password, you will also need to update it in Outlook. This is highlighted below in red. 4.) Once you are happy with the settings, please click Next and then Finish.